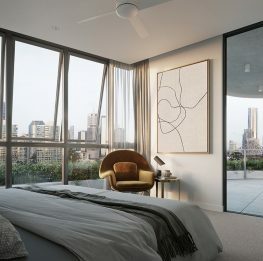 In the midst of a development boom in South-East Queensland, with major new communities underway in Ipswich, the Gold Coast and the Sunshine Coast, developer QM Properties are urging estate buyers to ensure an estate covenant is part of their purchase agreement. 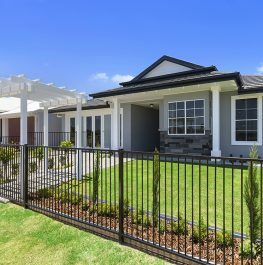 With 40 years’ experience developing communities in South East Queensland, QM Properties have highlighted the importance of covenants in ensuring strong yields, particularly in new communities. QM Properties covenants manager of 19 years, Carolyn Schofield said covenants gave buyers in growing communities the confidence that their homes would retain value in the future, and that the community would retain its character. “Some buyers view a new estate and think ‘Yes it looks great now, but what will to the character of the neighbourhood in 10 or 20 years?’,” said Ms Schofield. “Covenant agreements guarantee the design quality and character of communities, safeguarding residents from value depreciation and helping ensure that homes increase in value and deliver improved yields. 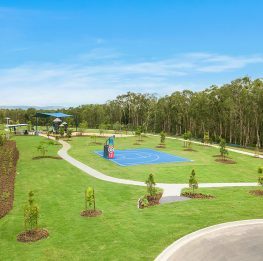 ‘’The covenants vary from estate to estate, so development standards within boutique communities like our Pimpama community Pacific Cove will differ from an acreage or urban residential development. “When designing our estates, we want to encourage a unity of design between the houses, but we also want make sure people’s homes feel unique to them. “Buyers can breathe a little easier knowing that they won’t end up with a little tin shed next door which would bring down the value of their house. When reviewing proposed plans, QM Properties covenants consultants consider whether the planned construction and landscaping will work to maintain the high standard of streetscapes that can be seen throughout QM Properties’ estates. “Most people see the value of covenants and happily agree to sign the agreement,” said Ms Schofield. “We work closely with our clients on a consultative basis to ensure that outcomes are mutually beneficial. “The covenant ensures that properties within an estate will all be of a similar standard. When a buyer invests time, money and effort into building their dream home, the last thing they want is to see their neighbour building a type of house that will devalue their property. “But beyond those considerations, buyers are are buying into a community, and they want to know that that community will last beyond the end of the developer’s involvement.